As Dustin Leverman walked through the Student Cluster Competition during the SC13 conference in Denver, he knew full well the excitement and exasperation felt by the 12 student teams as they strived to get their cluster computers up and running so they could run a series of scientific codes. Amidst rising piles of soda cans, junk food wrappers and other detritus, many of the teams worked around the clock to try to win the competition. 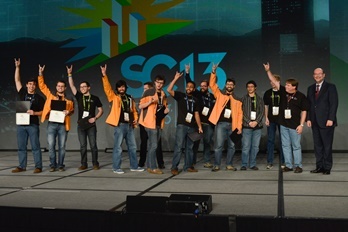 When the SC14 conference convenes in November 2014 in New Orleans, Leverman will again be chairing the competition in which 12 teams of students from around the world race to build high-performance computing clusters, then run a set of specified programs as fast and efficiently as possible. As the Student Cluster Competition Chair, Leverman and his committee set out the rules, select the teams, then offer encouragement and support during the event. Although SC14 will mark his second year as event chair, the SC13 competition wasn’t his first. In 2007, he was a member of the University of Colorado team competing in the inaugural Student Cluster Challenge at SC07 in Reno, Nevada. Although the University of Alberta in Canada took home top honours that year, Leverman made some important connections that led to an internship and then his current job as a systems administrator at Oak Ridge National Laboratory in Tennessee. Brent Gorda, now general manager of the High Performance Data Division at Intel, first got the idea for the competition while walking on the show floor at SC05 in Seattle and debating with Bill Boas. At the time, they both were working on advanced architectures at the Lawrence Livermore National Laboratory in California. Gorda said that an idea from Gary New of the National Center for Atmospheric Research – limiting the power by setting an upper limit to the current that could be drawn of 26 Amps – established a level playing field for the competition. By the time SC07 rolled around, the event had been planned, the logistics organised, and teams selected. The challenge began with the ceremonial opening of the exhibition at 7 pm Monday night and continued until mid-afternoon Wednesday. The teams had 35 hours to crunch through, before putting their screwdrivers and keyboards down. Gorda also started a tradition that makes it hard to overlook the students – he garbed them in clothes that set them apart. Over the years, the ‘uniforms’ have included checkered flags, bright colours, and more. Last year, the students were unmistakable in their orange parkas as they moved through the Denver Convention Centre. The idea caught on and SC14 will mark the eighth consecutive year the student teams will vie for top honours. And the concept has also spread to three other continents. In 2012, the International Supercomputing Conference (ISC) launched its version of the competition in Europe. A regional competition was set up in South Africa and, most recently, the Asia Student Supercomputer Challenge was held in April 2014 in Shanghai. No matter where the event is held, it draws an international field of teams. Over the years at SC conferences, teams from Canada, Taiwan, China and a handful of states from the US have won the event. At SC08, a combined team from Indiana University and the Technical University of Dresden collaborated and took top honours. Indeed, that year the team did successfully win the competition for a second straight time. Dan Olds, an HPC consultant and owner of Gabriel Consulting Group, has become an ardent fan of the competitions, personally observing them in the U.S., Germany, South Africa and China. He’s also set up a website to help track them at http://www.studentclustercomp.com/ . At SC14, Team KrautComputing from Friedrich-Alexander-Universität Erlangen-Nürnberg, Germany, will be looking to improve on their third place showing at SC13. The team formed after a student returned from SC12 and told others about the competition. ‘I thought it sounded like a cool idea and I asked others to join,’ said Christopher Bross, who is in his sixth semester studying computational engineering. Once the team formed, they enlisted Andreas Schaefer as their advisor. Schaefer said his goal as advisor is to let the students independently solve as many issues as they can, but to be there as a mentor when they need guidance. The SC13 team decided to use GPUs and partnered with NVIDIA, along with the German integrator MEGWARE and the Portland Group. There were some difficulties in adapting the applications to run on GPUs in 2013, a lesson they will take account of this year. However, Bross adds, the opportunity to attend the SC conference is almost equally important. The team also enjoyed other benefits. They were able to bring their system back to the university to use in their research, and one team member got an internship with NVIDIA. Finally, Bross said, competing at SC helps raise the visibility of HPC among students at the university. At Purdue University in Indiana, Stephen Harrell sees a similar benefit. Within the Computer Science Department, parallel programming competitions are better known than HPC events, said Harrell, who has been bringing a team to SC since 2010. He’s also taken a Purdue team to ISC in Germany and the Asia Student Supercomputer Challenge. Harrell said he does a little recruiting, such as speaking at student chapter meetings of IEEE and Women in Computer Science, and relies a lot on word of mouth. He also co-teaches a class on HPC and scientific computing to coincide with the team’s preparation. Like others, Harrell cites the fact that the world’s HPC community meets at SC, and being in the competition provides students with lots of opportunities for making connections. Harrell admits that his teams want to win, of course, but he also tries to see that they don’t get too engrossed in the competition aspects. As for himself, he said he initially fell into the role of advisor and finds it both fun and fulfilling. Formerly a senior HPC system administrator at Purdue’s research centre, Harrell recently took a position doing HPC outreach to students and faculty, which includes showing them how to run clusters. 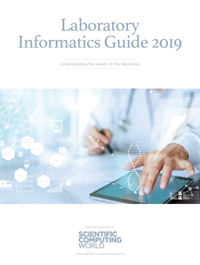 ‘It’s not always easy to get people interested in running HPC systems and the competition is a great way to teach them – there’s no other way to learn it,’ he said, adding that Purdue’s centre has hired a number of staff who got their start in the Student Cluster Competition. ‘It’s been a good workforce development situation for us,’ he said. SC14 marks the second time that the Student Cluster Competition is part of SC’s HPC Interconnections programme, which provides a welcoming entry for attendees who may be new to the community or the conference, and which includes several student programmes. Liz Jessup, a professor of computer science at the University of Colorado in Boulder, is chair of HPC Interconnections at SC14. On campus, where a class called High-Performance Scientific Computing has been offered since the early 1990s, Jessup says there is a revival of student interest in HPC in recent years. On the exhibit floor, she’s enjoyed seeing students really engaged during the competition as they learn new skills. Tracking the career paths of Student Cluster Competition participants is on Olds’ list of things to compile for his website. In the meantime, Leverman is happy to tell his story. During the SC07 competition, he met researchers at the National Center for Atmospheric Research (NCAR), also located in Boulder, Colorado. That led to an internship at NCAR, where he learned the Lustre filesystem. That knowledge helped him get his current job at Oak Ridge. Jon Bashor, of Lawrence Berkeley National Laboratory, is communications chair for the SC14 HPC Interconnections programme.